Catnip is an herb that is part of the mint family. It was brought to America by Europeans and used for many illnesses in humans such as headaches and fevers. It seems to produce euphoria in many cats when they are exposed to it. Here, we explore some questions and answers regarding catnip. What Effects Does Catnip Have on Cats? In most cats, excitement is induced upon exposure to catnip. Your cat may act stimulated, running around and pouncing on things. In many cases, cats' eyes will dilate. Your cat may react differently, of course, but many cats become more vocal and playful. A small number of cats may become aggressive when exposed to catnip, so give your cat some space if it's the first time she's tried it. Catnip contains a chemical called nepetalactone. When cats sniff or chew on catnip, it gets drawn up into a special organ in the back of the roof of their mouth, the vomeronasal gland. From there, the nepetalactone effects the brain, resulting in stimulation. You can give a shy cat catnip to encourage her to come out of her shell and play. You can use catnip spray on toys that your cat may be ignoring to reinvigorate them and get your cat playing with them again. 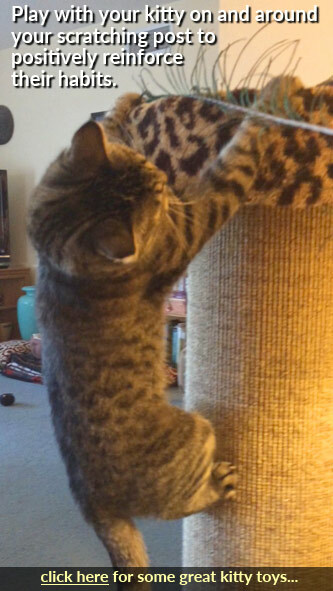 If you need to get your cat more interested in a scratching post, catnip can help. If your cat has been through a stressful time, a session with catnip can help her blow off steam and relax. Is Catnip Addictive to Cats? Is It Safe? Catnip is not addictive to cats, and other than the occasional cat becoming aggressive when exposed to it, no negative effects have been recorded. One thing to consider is ensuring that the catnip you use is organic because otherwise, it may contain pesticides that could be harmful to your cat. Can You Give Your Cat Catnip Too Often? Cats can become desensitized to the effects of catnip if they are exposed to it a lot. You should put catnip toys away when your cat is done playing with them, and aim for giving catnip once a week or so. No. Kittens under six months of age generally do not respond to catnip. About 1/3 of adult cats also do not exhibit any change in behavior when they are given catnip. This still leaves a large majority of cats that do respond to catnip. Large cats like tigers even like it! In What Forms Is Catnip Available? Catnip comes bulk in dried leaves and stems, contained within cat toys, and as a spray. The leaves and stems should be crushed a bit between your fingers before giving them to your cat. 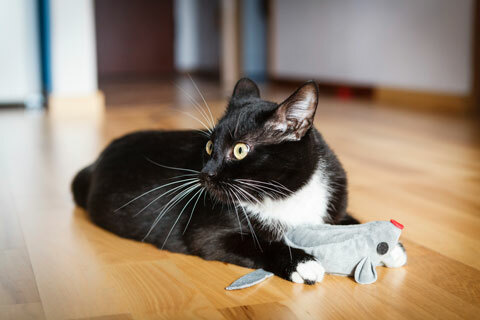 The spray is wonderful for turning non-catnip toys into catnip toys or rejuvenating old toys. Is There an Alternative for Cats That Don't Respond to Catnip? Honeysuckle is a great alternative for those cats that don't show a response to catnip. In fact, it's great for many cats that do respond to catnip, as well. You can try alternating catnip and honeysuckle to see how your cat responds to each. You can learn more here: "Honeysuckle: When Catnip Doesn't Create a Crazy Cat."